This guided cycling tour in Dalmatia starts on Brac Island and ends in Split exploring amazing coastlines, medieval towns, old villages and picturesque bays. 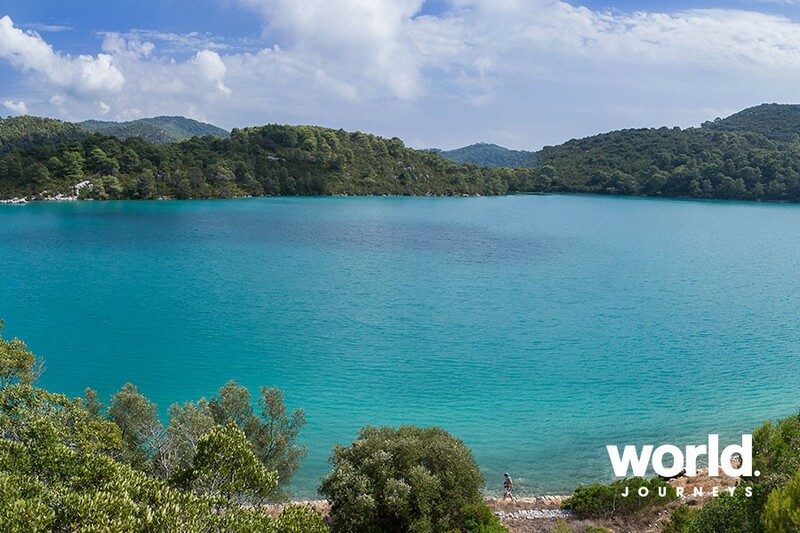 Highlights include visiting great beaches, vineyards, pine woods, cycling on the historic islands and exploring Mljet National Park. 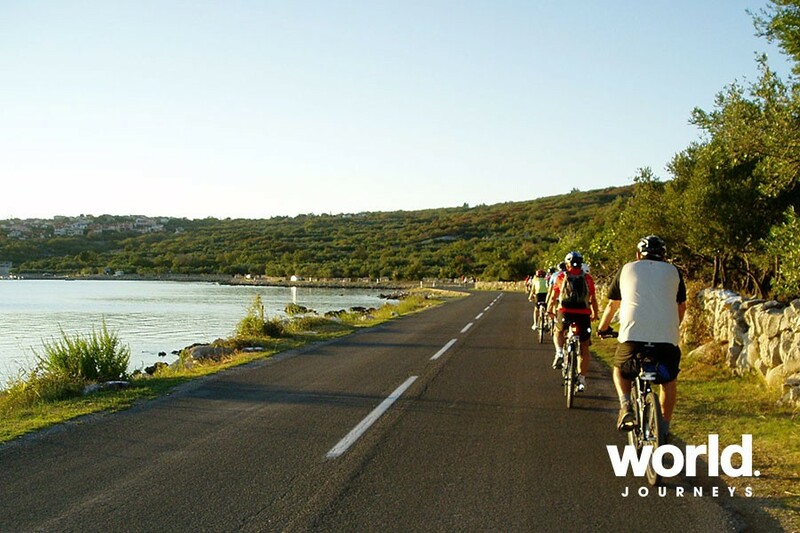 Croatia is a land of beautiful islands, rich history, Mediterranean vegetation and mild climate and the best way to explore it is, without doubt, by bike. 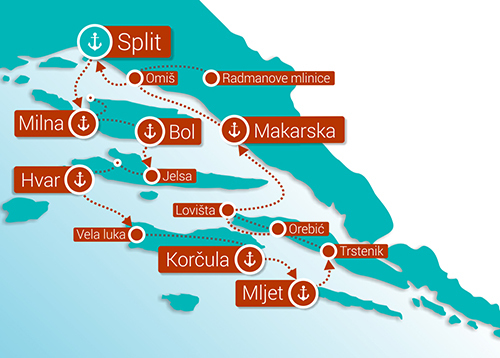 Day 1: Split > Brac (Supetar) > Pucisca (L) Make your way to Split harbour to check-in and embark your cruise. Depart with lunch and meet your fellow passengers and the ship's crew. 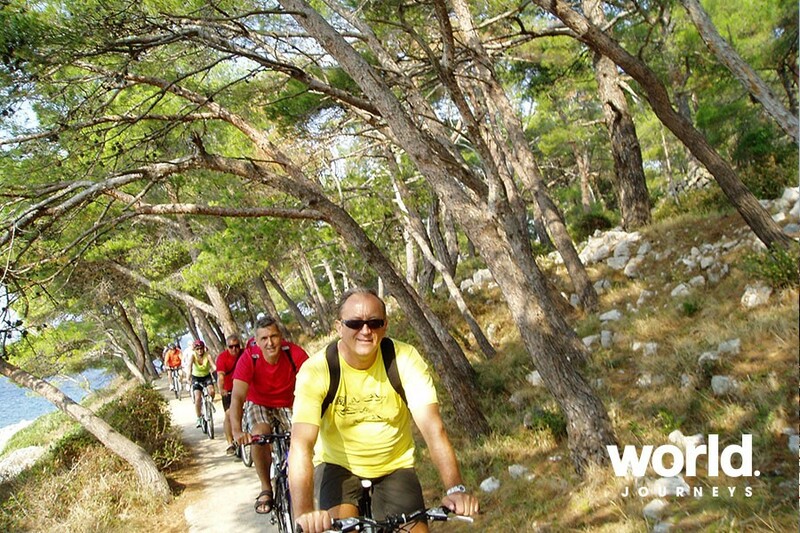 Upon arrival in Supetar you will cycle the coastal road to the northern part of the island of Brac. 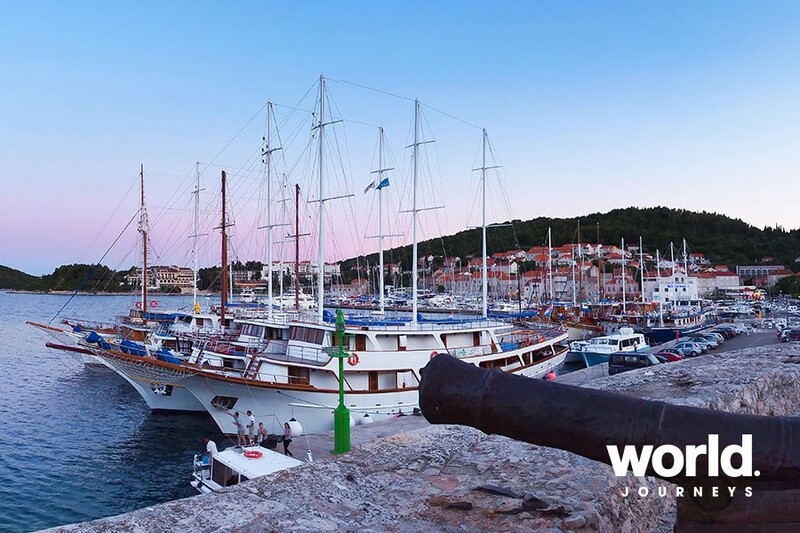 You will pass the fishing villages of Splitska and Postira and arrive in Pucisca, one of the most beautiful small settlements in Europe. 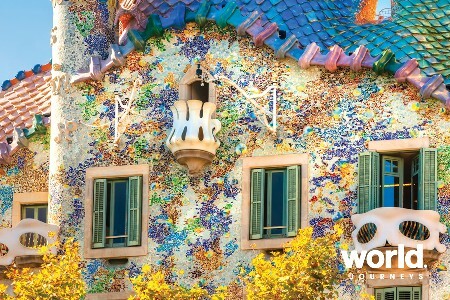 The afternoon is free for sightseeing in this charming town which is well known for its long stonemason tradition. Overnight in Pucisca. 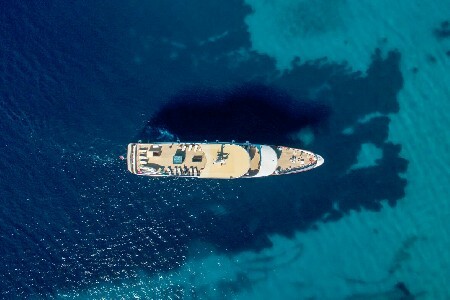 Day 2: Pucisca - Pokrivenik - Sucuraj - Lovista (B, D) Enjoy breakfast with a morning sail towards Hvar, the longest Croatian island. Your starting point is the small picturesque bay of Pokrivenik. Ascend to the highest point of the route, then descend to the eastern point of Hvar island in Sucuraj where your boat is waiting. After lunch on board, sail towards the second biggest Croatian peninsula, Peljesac, and the charming settlement of Lovista. Optional Captain's dinner on board. Overnight in Lovista. Day 3: Lovista - Trstenik (B, D) Today you will enjoy a wine-panoramic route. After breakfast, start riding towards Orebic, the city of seafarers and captains. 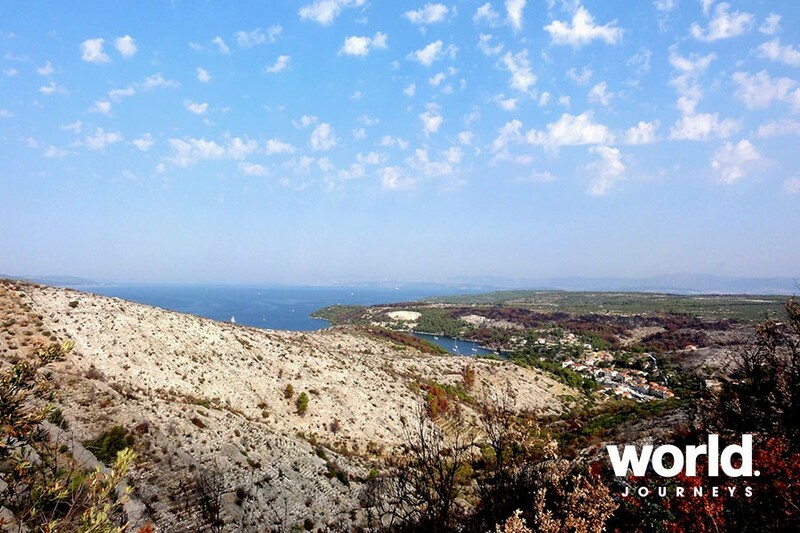 Ascend for the first few kilometres and then descend with the Korcula archipelago as your backdrop. 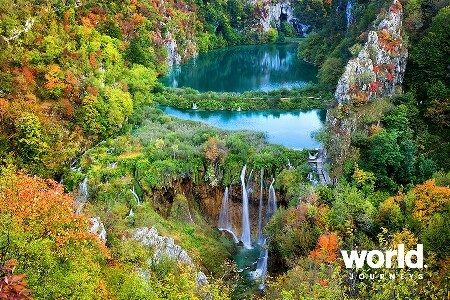 After Orebic, ascend to an area that holds some of the most famous varieties of Croatian wine. Cross the Dingac tunnel to the south side of Peljesac and continue riding through vineyards to Trstenik. Overnight in Trstenik. 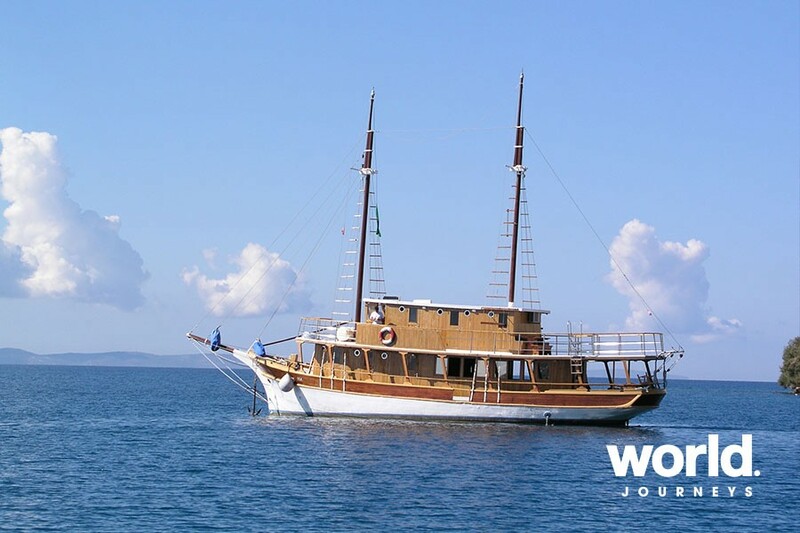 Day 4: Trstenik - Mljet - Korcula (B, L) Enjoy a cruise during breakfast from Trstenik to the lush green island of Mljet, also known as Honey-Island. Mljet National park (entrance fee to be paid on the spot, approx. 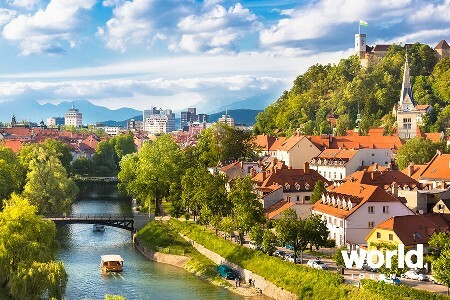 16 EUR per person) is a beautiful area of unique charm that features two connected salt water lakes, lush flora, unique indented coastline, cliffs, and numerous islets. Cycle around the saltwater-lake, home to an island with a Benedictine monastery from the 12th century. Enjoy swimming in the lake and then return for lunch on board the ship. 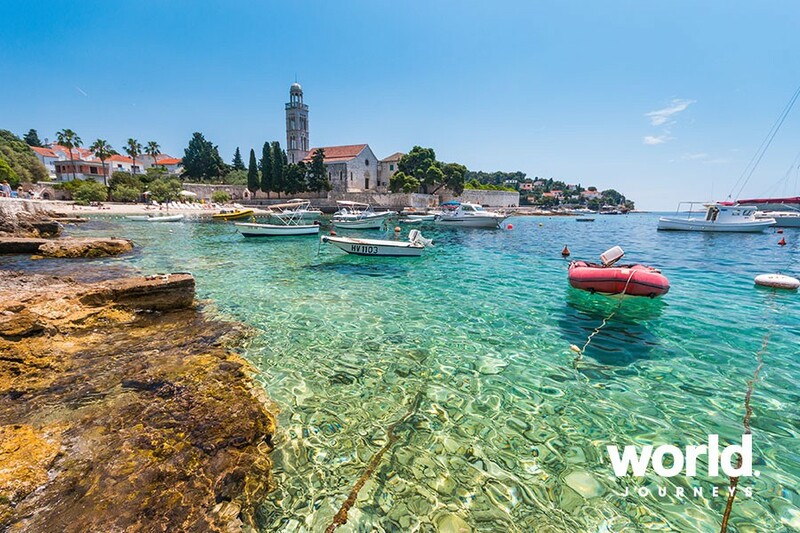 Sail to Korcula. The afternoon is free to explore the town of Marco Polo. Overnight in Korcula. Day 6: Vela Luka - Hvar - Stari Grad (B, L) Early morning sail from Vela Luka to the town of Hvar for breakfast. 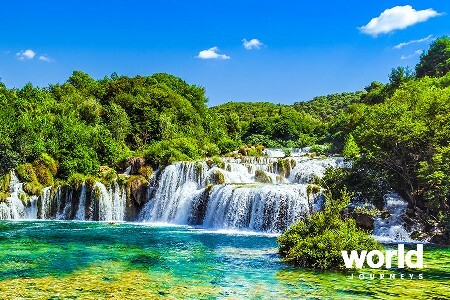 Take a short sightseeing tour of Hvar, a fairy tale city with its grand architecture, beautiful nature, and mild climate. Cycle from Hvar to the other side of the island in Stari Grad, passing through lavender plants and enjoying the view towards the neighbouring islands. Lunch on board in Stari Grad. Easy afternoon ride up to two of Hvar's pearls - Jelsa and Vrboska and then through to Stari Grad Plain. Overnight in Stari Grad. Day 7: Stari Grad - Stomorska - Split (B, L) The last day we start with a cruise from Stari Grad to the island of Solta. After breakfast, cycle from Stomorska to the highest point of the island in Gornje selo, enjoying the views on both sides of the island and the scents of Mediterranean plants. Continue to Maslinica on the west part of the island. Short break before returning to Stomorska. Lunch on board and sail to Split. The afternoon is free for sightseeing the Diocletian's city. Overnight in Split. Day 8: Disembarkation Split (B) Breakfast followed by check out at 9:00 am. Cabins: All deck cabins are situated on the main and top deck. Under deck cabins are in the hull of the ship below the main deck. Cycling Route: The length of the daily cycling routes is estimated and informative and depends on various detours or short cuts that can be done on route. Sailing and cycling routes may be changed on the spot due to weather conditions and capability of the respective cyclists on board. Departure is during morning hours, mostly after breakfast. Bicycles: Bike rental is not included; the cruise line and World Journeys are not responsible for any damage which may occur on personal bicycles during bike tours and transport from land to the ship and vice versa. Rental bikes are Trek men and women cycles or similar. Aluminium frame with semi-integrated head tube, bi-oval downtube with integrated gusset, rack and fender mount, disc compatible dropouts, replaceable derailleur hanger. Includes bikes equipped with bottle holder, bag carrier, small bag and helmet. Food: Half board is served with continental breakfast and either lunch or dinner. During our cycling routes we recommend stops at local restaurants where you can sample the local specialties. These meals are not included in the price of the trip but are paid locally by each traveller. • Single Use Cabin 50% surcharge on twin share price.